There are 5 types of RapidKL Buses, i.e. Trunk Line(Utama), Local Line(Tempatan), City Line(Bandar), Express, and RapidBet. The time table and fares structure are different from each other. it is nice that rapidkl's website provide the operating hours of their buses, but what is the most important thing is the scheduling, which is missing. i wonder how hard is it to produce one, and now that all their buses are GPS-enabled, why can't rapidkl produce a schedule for their buses and ensure their buses are on time? How frequent is the bus service from Tmn Bahagia to SS22/41. Hourly or every 15 minutes? What is the schedule for U82 on week end? 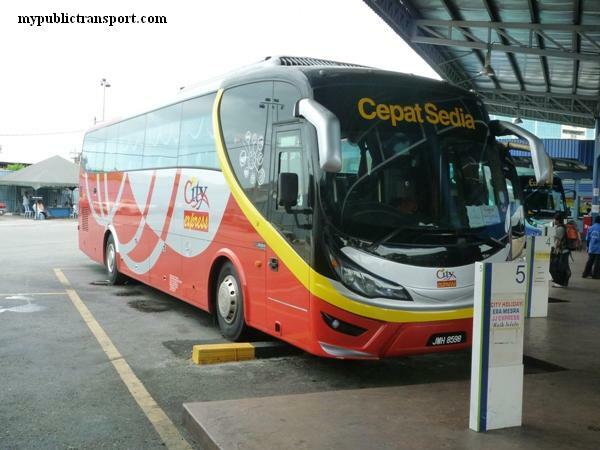 Is there any express bus service from KL Sentral to Senai Johor? No. You need to use express bus from TBS. if i stay at uitm puncak perdana, and i want to go to shah alam bus terminal or klang sentral bus terminal,which one is the nearest? and which bus should i take to go there? Do you mean express bus terminal for Shah Alam or normal RapidKL Bus Hub? From UITM Puncak Perdana, you can use RapidKL T600 and U605 to Shah ALam Bus hub but no transport to Klang Sentral. 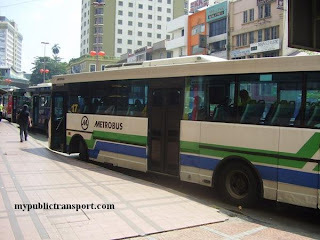 if i take U81 from Universiti LRT station to Subang Airport? Isn't possible to travel like this? how much time it might takes? Yes it is available. It should takes you less than 30 minutes. how can i go from sunway pyramid to tesco mutiara?? You can use RapidKL U63 or U67 to Asia Jaya (federal Highway), then use RapidKL U88 or Metrobus 99 to Tesco Mutiara Damansara. hmmm.. how long will i take? Wat time is the bus u623 back from subang parade after 10pm? After 10pm, there maybe left 1 or 2 trips depends on the traffic that day. 1. How long will i take bus U27 from SMK taman seraya to MPL in weekday? and how much? 2. Can i take bus U27 from MPL to Taman Seraya Shell ? 1. It should takes you about 1 hour and cost you Rm2.50. 2. Yes. However from SMK Taman Seraya to MPL, the bus probably stop near Bukit Bintang only. You need to walk to MPL. 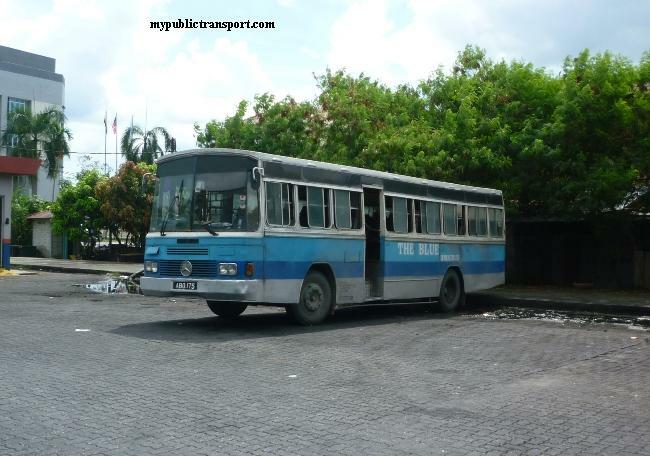 wat bus have stop at plaza see hoy chan? Many buses will stop at See Hoy Chan. U27 is one of those. Just that if you come from Taman Seraya, the bus will stop at HSBC Bukit Bintang, you can use the same bus to See Hoy Chan but you need to wait when the bus is ready to go back to Taman Seraya, where it will make a loop to See Hoy Chan and go to the destination. Hi, can I know where are you from. Instead of Subang Jaya KTM, there are many ways to go SUnway Pyramid. You can actually use RapidkL U62 from some places in Shah Alam to Sunway Pyramid. lol then how about my friends? she gonna take rapidkl U62 from that subang jaya station is it? Where do your friends come from? how frequent is bus from shell taman desa to midvalley? It is about 20-30 minutes. Which other bus to go to Utar pj main campus from Asia Jaya LRT other than T629? You can also use T628 from Asia Jaya LRT Station, or T635, U85, Metrobus 12 from Universiti LRT Station. how if i want go to masjid india from greenwood?ples help me..
Can I know which Masjid India do you mean? Which bus available at KTM shah alam to go to shah alam bus hub? You can use RapidKL T529. what time the bus reach at SRK pandan indah on everyday?? The bus comes every 20-30 minutes. You need to use RapidKL U88 or Metrobus 99 since you are traveling in opposite direction. BET1 don't serve from Pasar Seni to Kota Damasara in the morning and vice versa. It is every 20 minutes for U80. How frequent is the rapidkl U88? And if I were to travel from pelangi damansara to sek 19 jln semangat, how long will it take? You can use both U88 and Metrobus 99, which you may get one of it every 15 minutes. You journey should take about 20-30 minutes. how much the fare for college student from zone 1 to zone 3? Hi, college student don't get any discount if I not mistaken, so it is Rm2.50. hi again,today i ask the bus driver about the college student fare price.he said to me that i have to take a letter from college after that i have to go pasar seni to handover the letter to the office to get a student pass for free(is not a card). Then i only can pay RM1.20 with the pass. it is possible to get a a pass? 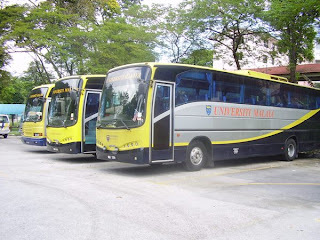 What bus should i take from tbs to uitm puncak alam? Hi, you can take KTM from TBS to KL Sentral, then take RapidKL U80 to Shah Alam, last use RapidKL U90 to UITM Puncak Alam. 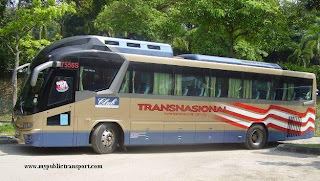 what bus should i take from KL sentral to Jln PJS 11/2 bandar sunway(near to petron there) ? Hi, you can take RapidkL U63, U67 or U76. sorry, may i know if from kL sentral at 8.00 am. then what time i can arrived jln PJS 11/2 bndar sunway yah? Hi, you can reach in less than 1 hour. Hi, from the past experience, there will be no change for morning section, while the evening section will be departed earlier 1 hour than usual. 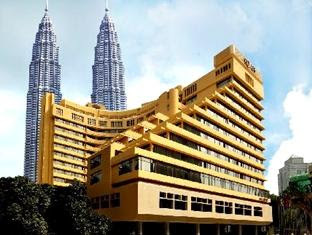 hi, I am staying at Seksyen 17, jalan 17/22, how can i get to CP Tower by bus? Hi, you can take RapidKL T628/T629 to Asia Jaya LRT Station, then take T629 again to CP Tower. This seems not convenient but is the only way by using bus. Which bus i should take from LRT Titiwangsa to Jalan Lang Perut Putih 8,Kepong? Hi, you can take RapidKL U11 opposite to Pusrawi Hospital to Lang Perut Putih 8.
hye.. do you know early time in the morning bus U65 route will arrive at Batu 3 Shah Alam on weekdays? Hi, U65 comes every 20-30 minutes. hi, may i know to reach here : Seasoning Specialities Sdn Bhd, 102, Jalan Metro Perdana Barat 13, Sri Edaran Park, Off Jalan Kepong, 52100 Kuala Lumpur, Malaysia. by using public transport? i live in serdang selangor and how about the fare to get there? Hi, you can take KTM from Serdang to Kepong Sentral, then take RapidkL U4, Selangor bus to Metro Prima, Seasoning Specialities is just opposite. hello, can i know what bus should i take from Asia Jaya Lrt to Jaya one? how long normally need to wait for a bus? If lets say i need to reach Jaya One at 9.30am, what time should i wait? and how far is it from lrt to Jaya One? Hi, you can take RapidKL U85, Metrobus 12, RapidkL T635 from Universiti Station. Those bus comes every 10-15 minutes. The journey is about 15 minutes. If you start from Asia Jaya LRT, you can only take T628 which comes every 40 minutes and takes 30 minutes to reach Jaya One. hi, i would like to know how frequent the T231 bus is from the GOMBAK LRT station to uia campus rectory? Also how long is the journey? Also what time is the last bus in the weekends from UIA gombak rectory to the Gombak LRT station? On the website it says 12 pm, do you mean noon or midnight? Hi, the bus comes every 20-30 minutes, the journey is only about 15minutes. The last bus is 12am mid night. Not sure why you will start from Bangsar LRT but if you are using LRT, you can go to KL Sentral and take RapidkL U67 to USJ 9. BET3 is only available at morning and evening section. If you are from Bangsar LRT, you should take LRT to KL Sentral, or Asia Jaya. Hi,.dari taman kinrara ke taman industri puchong bas no bpe? How frequent n how long is the journey? Hi, you can take RapidkL U69, Metrobus 20, 21. Hi thanks for your earlier response. I would also like to know how long is the journey by LRT from the Kelana Jaya station to the Gombak station? Hi, the journey is about 1 hour. what time bus T529 reach at Seksyen 2, everyday?? Hi, it comes every 40 minutes. Hi, you can take RapidKL U80 to Shah Alam bus terminal, then take U90 to UITM Puncak Alam. Hi, you can take RapidKL U81. It costs Rm2.50 and takes about 1 hour. Need to check how to get to jln bunga tanjung 8b, tmn seraya from cheras hartamas? Hi, you can take RapidkL U47 to Jalan Kuari, then take U27 to Taman Seraya. how to go jalan pahang from plaza see hoy chan ? Hi, you can take RapidkL U24. 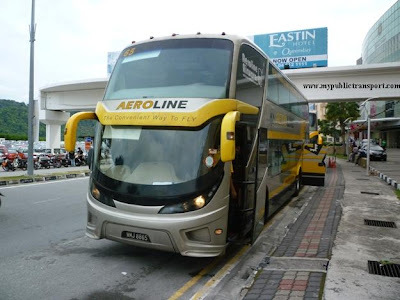 Hi, you can take any bus heading to KL from Klang Lama Road. Hi, you can take RapidKL U42 to Putrajaya Sentral. 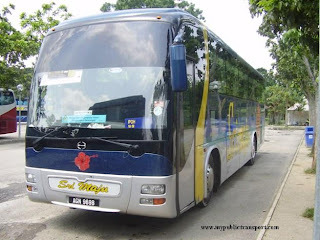 Then take Nadi Putra bus to MSC Technology Commercialisation Centre. hi, does rapidkl bus has break time? Hi, normally bus come more frequent during peak hour. Hi, how do I get from Jalan Cempaka to KLCC? And what's the frequency? Thank you. Hi, you can take LRT from Cempaka to Masjid Jamek, then switch line to KLCC. what time do the 1st bus arrive at usj 4 busstop? Hi, it is about 6am. Hi there, may I know (roughly) what time BET2 bus arrives at Taman Midah Cheras stop everyday from Sg Long? Hi, it is roughly every 20 minutes from 6.40am to 7.40am. 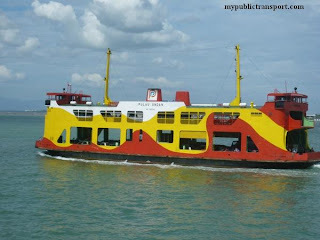 So there will be 4 trips only, 6.30am, 6.50am, 7.10am, 7.30am. They departs from Sungai Long at 6.20am, 6.40am, 7am and 7.20am, by using Grand Saga Highway it should be 20 minutes to reach Taman Midah. how to reach Jalan Dutamas 1 from kl sentral? Hi, you can take RapidKL U83. hi can i know what bus i can take from PJ area nearby jaya 33 to SJMC medical center in subang jaya or from LRT kelana Jaya? How frequent is rapid kl bus u30 from risda to ampang park and how long will it take? Any other bus that stops at these 2 stops is ok also. Planning to take it around 8am. Thank you. Hi, from Jaya 33, you can walk or take RapidKL T628 to Federal Highway, then take RapidKL U67 to SJMC. From Kelana Jaya LRT, you can take U623 to SJMC. Hi, besides U30, you can take U22, U26, U28, U29 or Metrobus 28, 79 from Risda to Ampang Park. Usually you can get them in 10-15 minutes. The journey is about 15 minutes. Thank you @mypublictransport. How much is the fare and is there a bus card and if so where can I get one? 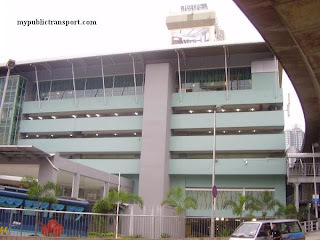 Sunway pyramid, Lebuhraya NPE to Summit USJ,Persiaran Kewajipan what bus should i take? and may i know how long will the bus arrive each station? i need to be at my destination on 8am. Hi, you can take RapidKL U63 or Metrobus 10, it comes about every 20-30 minutes. How to go bangunan dua sentral from kl sentral? Hi, you can walk directly as it is about 1km away only. How to go kg. baru subang from pj old town? Hi, you can take RapidKL U81 to Federal Highway near University Hospital, then cross over to Jalan Gasing and take U66 to PJ Old Town. hi. how to go to Kuaters Polis Seri Kembangan from KTM Serdang ? Hi, you can take RapidkL T416. Hi, may i know that how frequent for the bus U82 during the weekday? Especially after peak working time, 8pm onwards? Hi, 8pm onwards, I worry you will only get it at 10pm. RapidKL Bus is known to be not serving after 8pm, and then serve at 10pm and 11pm. Hi, you can take T424 from HUKM to Tasik Selatan KTM station, then take KTM to Mid Valley. From Mid Valley, cross opposite to Federal Highway and take RapidKL U69 or Metrobus 20,21,58 to Lebuh Puteri for Turning Point Integrated Wellness. From Lebuh Puteri, you can take RapidKL U69 to KL Sentral, then take LRT to Wangsa Maju. From Wangsa Maju, you can take RapidKL T312, U20, U24, Metrobus 49 to PV10. Hi, may I know how to go to tarc and wangsa maju lrt station from kl festival mall? how frequent is the bus? Hi, you can take RapidKL U20, U24,Metrobus 49 from Jalan Genting Klang to Wangsa Maju LRT and Tarc. Those buses are very frequent, but Genting Klang is very jam so is hard to predict the time. Hi, may i know that how frequent for the Rapid Bus T634 during 12pm - 1pm weekdays? Would it be 1 hour per bus during that time? Hi, this bus normally departs every 30-45 minutes so unless if there is heavy jam else it should be less than 1 hour. Hi, yes you can walk to genting Klang because there are main road for bus services. I want to know U 60 bus time table please. Hi, we wish to know the time table too but RapidKL never share the timetable because they claim that everyday is different. Base on our experience, U60 normally comes every 15-20 minutes. hi, I want to ask that if I'm staying at wangsa metroview, I know that U24 will pass by that area, when I'm looking at Google Map, I know that Blok A3 Jalan 4/27A is a bus station opposite metroview, however, when I look at the rapidkl route, the bus seems don't stop at the station. so is the bus stop still is a valid bus stop? if not, which is the nearest bus stop i should go? Hi, most of the google maps bus stop location for Malaysia are wrong because RapidKL submitted wrong data to Google. 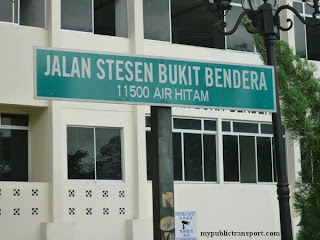 You can go to this bus stop from Wangsa Metroview. Hello. If let's say I need to take U7 bus to Mont Kiara which LRT station should I stop at and what's the timetable for the bus? Hi, you can stop at Masjid Jamek LRT, Chow kit Monorail or Segambut KTM station and take U7. It usually comes every 30-45 minutes. You can walk to Lebuh Ampang for the bus. Yes they accepting touch n go card. Ho where can I get the timetable for Rapid KL number U34 from Putra LRT Station, Wangsamaju, KL? Hi, you can't get it anywhere because RapidKL never share it. Usually U34 comes every 45-60 minutes. Hi, it comes only every 2 hours and 30 minutes. It stops near to Duta Court and you can walk to Publika. OMG, why there's bus comes only every 2.5 hours?! That's unbelievable! Can't this system be improved??!! As we known so far there are 8-10 routes by RapidKL only comes every 2.5-3 hours. Apparently those routes are having very low ridership and therefore they are not willing to provide better service to the public. B115 is about every 30 min in the morning and evening but is every 2 hours after 10am. Hi, how frequent is route T229 to Metro Prima? Hi, you can take KTM from Serdang to KL Sentral, then take RapidkL U64 to Sri Muda. From Sri Muda bus hub, take RapidKL T530 to your destination. Hi, you can take RapidKL U62. 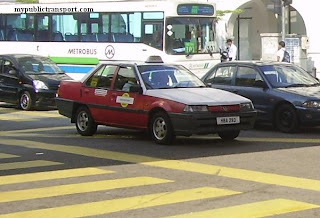 Hello, will U7 bus stop and pick up passenger from bangsar lrt station? Hi, no, U7 does not pass by Bangsar LRT station. You can take it near Jalan Ipoh (beside Chow Kit Monorail station), or near Bandaraya or Sultan Ismail LRT Station. Oh okay. But if let's say like the other day, I was waiting for the bus U7 next to Burger King (Opposite McDonald), and the bus driver said he is not going to stop there and according to him, this is not a proper stop. But as what I've done my research, Jalan Tun Perak, U7-1-2 is where I could get into the bus U7. So right now, where should I wait for the bus if let's say I out from masjid jamek lrt station? They should stop there because it is the bus stop according to them. Can you update me if U73 still pass through KL sentral stop near petron(Mobil)? I think the bus didn't pass through there yesterday and today. Yes it is still in service. Probably the service is so bad that it comes after 2-3 hours? Hi, it comes about every 15 minutes. 1. How frequent for bus depart from Pusat Bandar Damansara after 7pm onwards? 2. Is the bus waiting area depart from Pusat Bandar Damansara been changed? as i noticed the bus didnt come in and pick passengers at the existing bus stop. Please let me know the actual bus waiting area if it has been changed. 3. Any alternate bus available besides T634 which is departing from Pusat Bandar Damansara as well? 1. It is hard to say. RapidKL never have a schedule and the service after 7pm is like every 1-2 hours. 2. There is no change. Recently their bus service has become very bad as some of the route does not have bus that come frequently. Hi, you can take Minibus 77. I would like to know (if possible) the time schedule for u90 from shah alam to uitm puncak alam. To be precise, Are there any busses after 4pm? Hi, this bus only comes every 45-60 minutes without schedule. Hi, can u tell me which bus should i take to reach taruc's hostel from wangsa maju lrt station on sunday? Hi, you can take RapidKL U24 or T312 or Metrobus 49 to TARC. Hi, I would like to ask about the bus schedule for bus T625 and how frequent they move from Taman Bahagia Lrt Station? Thank you. Hi, RapidKL don't have any schedule but T625 usually departs every 30 minutes. how do i get to Kota Kemuning from Lot 2607,Jalan Subang 6,Taman Perindustrian Subang? Hi, it comes about every 15-20 minutes, the alternative is Metrobus 22. I believe there will buses during that time. Hi, you can take RapidKL u63 or U67 to Federal Highway, then take RapidKL U64 to Sri Muda. From Sri Muda, take RapidKL T530 to Kota Kemuning. 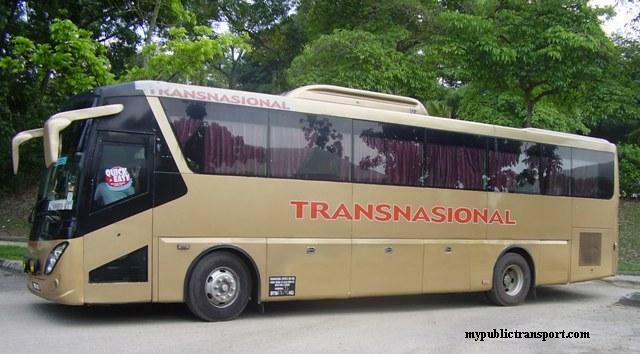 Hai.which bus available to kg baru hicom seksyn 26 from grand season hotel?? Hi, you can take Monorail from Titiwangsa station to KL Sentral, then take RapidKL U65 to Section 26 Hicom New Village. Hi. Need bus timetable from taman desa, desarina condo to midvalley KTM or klsentral. Morning timing to go to work. 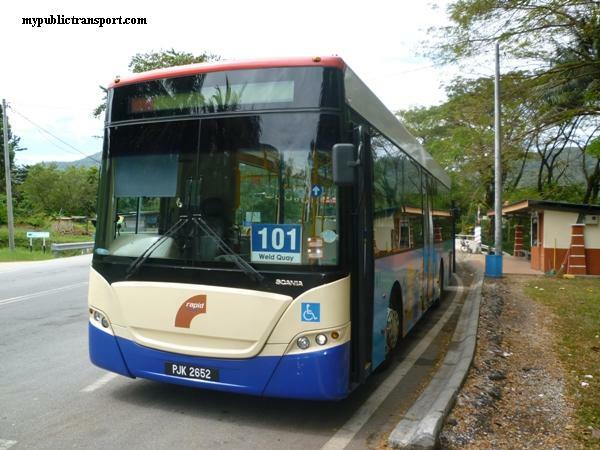 Hi , which bus should I take from utar sg long to KTM serdang or any LRT station? 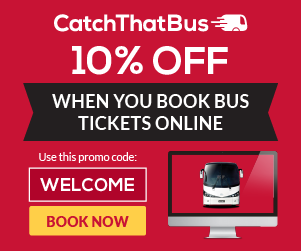 How frequent is the bus service start from 12pm? About 30minutes? Hi, you can take RapidkL U41 or Metrobus 22 to Serdang KTM Station, the bus comes every 15-25 minutes. Yes, that's the service RapidKL provides for U11. Hi where shall I board U43 from Kelana Jaya to 1 Utama? Near to LRT main entrance side or Opposite to LRT Station? Hi, you need to go opposite. U89 also goes from Kelana Jaya to 1Utama with higher frequency than U43. Hi, U83 is every 2 hours. U7 is every 35-45 minutes. U7 does not go to KL Sentral. Hi!, may i know how to take a bus to tropicana hospital kota damansara from uptown? How much is the fare? How long to reach to the hospital? Hi, you can take RapidkL U88 or Metrobus 99. It takes about 20 minutes and Rm1.90. Hi, the bus is always available. You can take Nadi J02 or RapidKL U429. U429 will costs Rm1.90 while J02 should be Rm2 (not very confirm for this). The journey is about 30 minutes and you can pay on the bus. How can I get to KL Sentral from UiTM Puncak Alam? Is RapidKL U90 there to head to KL Sentral? How about to KLIA2? Hi, you can take U90 to Shah Alam bus hub, then take U80 to KL Sentral, then you can take KLIA Transit/Express/ Shuttle bus to KLIA2. Hi. 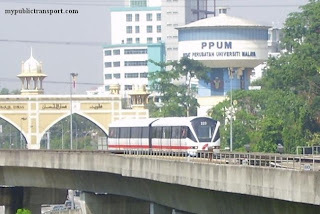 How to reach Syarikat Pemprosesan Jati Mesra Sdn Bhd using ktm from KL sentral ? Hi, you can take Monorail from KL Sentral to Chow Kit, then take RapidKL U3 or Metrobus 43 to Syarikat Pemprosesan Jati Mesra Sdn Bhd. hi, how to reach Atria Damansara jaya from lrt Taman bahagia and how frequent it is? Hi, you can take Rapidkl T626, every 30minutes from Taman Bahagia LRT.